Police Officer Jesus Cordova was shot and killed while attempting to apprehend a carjacking suspect in the 2900 block of North Grand Avenue at approximately 2:45 pm. The subject had carjacked a vehicle in Patagonia and fled from Santa Cruz County deputies into Nogales, where he attempted to carjack another vehicle. Nogales officers had responded to the attempted carjacking and located the suspect inside of a car. As officers attempted a traffic stop, the man exited the vehicle and opened fire on Officer Cordova, who was still in his vehicle. Officer Cordova was struck multiple times. Officer Cordova was flown to a local hospital where he succumbed to his injuries. The man then fled the scene and carjacked a third vehicle. He was located a short time later and taken into custody. 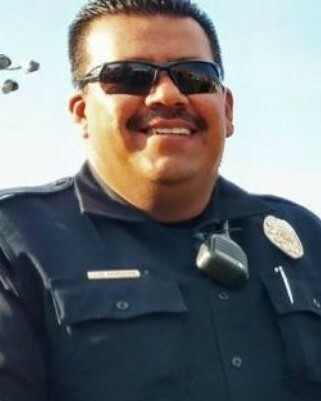 Officer Cordova had served with the Nogales Police Department for one year and had previously served with the Santa Cruz County Sheriff’s Office for 10 years. He is survived by his three children and expectant fiancee.